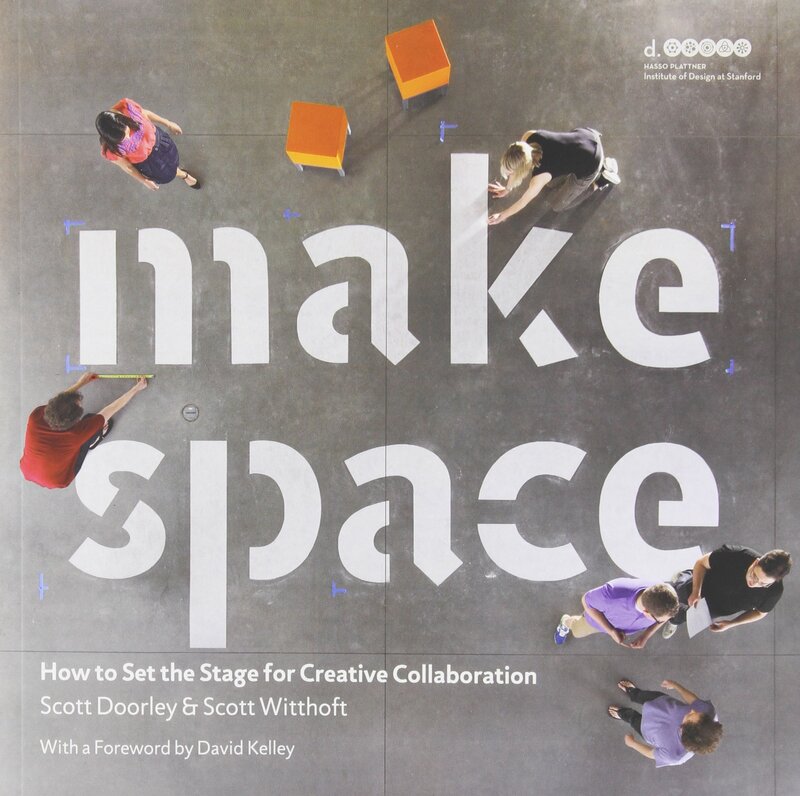 Make Space: How to Set the Stage for Creative Collaboration is a fabulous book for any educator looking to change up their learning space to support students collaboration. Even though this book is not directly about schools (it focuses more on offices and universities) there’s so many practical lessons to be taken from this book. So many, in fact, that I’m going to write a second post focused on some of the practical ways I’m changing my space thanks to this book. This book, created by the Stanford d.school, is an amazing source of design inspiration. While it tends to be geared more towards open office spaces and college environments, there’s plenty of ideas and resources for educators as well. Make Space tells the d.school’s story – it’s need for flexibility and economy when being shuffled all over campus, what worked and didn’t work for their collaborative spaces, and how they finally figured out how to get it right. Interspersed throughout the book are projects and action steps that you can take to immediately change your space. There’s so many practical ideas, and the stories throughout the book give you a better sense of what students need in collaborative spaces, even if they don’t know it themselves. I would highly recommend this book to anyone looking to change up their learning or work space.